There are over 11,000 apartments in Tishman Speyer's Stuyvesant Town-Peter Cooper Village rental megacomplex, and lately it seems like there's a raging controversy for each and every one of them. The latest, via The Real Deal, involves Tishman Speyer's upgrade of the security systems at the 60-year-old wonderland. An upgrade that includes key cards for lobby doors and cameras in the elevators. Therein lies the trouble, folks. Regular lobby keys will no longer work in some buildings starting tomorrow, and some residents think Tishman Speyer is trying to monitor the rent-stabilized tenantschecking on illegal sublets, months of suspicious inactivity (primary home elsewhere, perhaps? ), etc. 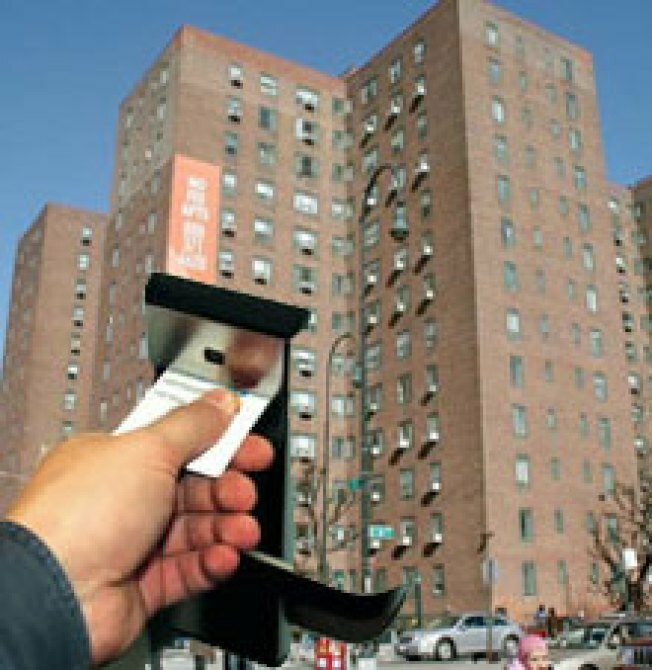 Every building will have key card entry only by mid-December, and a Tishman Speyer spokesman said the move will "enhance the safety of Stuyvesant Town residents and the security of their homes." He then slammed his iron fist down, crushing the podiumwhich, in an odd coincidence, was made up of the skulls of rent-stabilized tenants.